THE PERFECT FAMILY HOLIDAY TO CROATIA, WITH FIVE NIGHTS IN THE LUXURY AMADRIA RESORT NEAR ŠIBENIK, FOLLOWED BY FIVE NIGHTS IN MAKARSKA AT THE HEART OF THE CROATIAN RIVIERA. You’ll find everything you could possibly need for your family to enjoy within the Amadria resort, including accommodation, swimming pools, private beaches, sport and leisure facilities, a waterpark, bars and restaurants, shops, a sailing boat and more! The resort is also home to the brand new Dalmatian Ethno Village, where you can learn about the area’s local people through the centuries. You’ll get to see traditional cooking methods, a 100-year-old watermill, craft fairs, weaving workshops, and an original olive press. We will then transfer you to a hotel in the town of Makarska, at the heart of the Croatian Riviera. You’ll find plenty of relaxing beaches, lively bars and restaurants, and leisure activities for all the family to enjoy. One of our favourite places in Makarska is Park Osejavu which has plenty of trails and scenic picnic spots. Also included is a trip to Krka National Park, which has lakes and waterfalls, some even larger than the famous ones at Plitvice. We have a list of additional tours and trips, which have been chosen with families in mind. Create a bespoke holiday choosing activities to suit your own family’s interests and age groups. 5 NIGHTS ACCOMMODATION IN AMADRIA RESORT (FORMERLY SOLARIS) NEAR ŠIBENIK. 5 NIGHTS ACCOMMODATION IN MAKARSKA. PRIVATE TRANSFERS TO AND FROM SPLIT AIRPORT. DAY TRIP TO KRKA NATIONAL PARK, WITH PRIVATE TRANSFERS INCLUDED. ENJOY THE UNFORGETTABLE SCENERY OF KRKA NATIONAL PARK, WITH ITS SEVEN WATERFALLS. Our driver will collect you from Split airport and transfer you to the Amadria resort (formerly Solaris) near Šibenik, where you will have the rest of the day free to spend as you please. After breakfast, we will collect you from the resort and drive you to Šibenik, where you have a choice of activities, depending on the age and interests of your family. For adults and older children, we can provide a guided tour of Šibenik. We can also take you to the aquarium/terrarium and the raptor centre (birds of prey) where the whole family will enjoy watching the wildlife on display. After breakfast, we will take you on a day-trip to Krka National Park, home to seven magnificent waterfalls, as well as lakes, walking and cycling trails and some medieval sites. An unforgettable trip for all ages to enjoy. You can choose to spend the day relaxing in the Amadria resort, or if you want to see a different side to Croatia, you’ll enjoy this additional day trip to Murter and/or Kornati Islands. Murter Island is easy to reach and is unspoiled by tourism. The area is known for olive oil production as well as some of Croatia’s most beautiful beaches. The Slanica beach in the town of Murter has both sandy and rocky parts, with watersport facilities, restaurants and beach bars. From Murter, you can choose to take the short trip over to the Kornati Islands, another of Croatia’s protected National Parks. The islands are considered to be some of the most beautiful in Europe, with a total of 89 islands, islets and reefs. Kornati is also home to groups of bottlenose dolphins and loggerhead sea turtles, so be sure to bring your snorkel! Another day to spend as you like in the resort, or we would be happy to arrange an additional tour to Zadar, a lively and cosmopolitan town where the old meets the new. On a walking tour of the town, you will see ancient Roman ruins, Venetian walls and a modern Sea Organ which plays music using the force of the waves. After breakfast, we will collect you from the resort and transfer you to your hotel in Makarska, at the heart of Croatia’s Riviera (approx 90 minutes). The rest of the day is free to spend as you like. 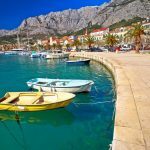 You can spend the day as you please in Makarska or, if you prefer, we can arrange a guided tour of the town, plus some additional activities depending on your family’s preference. Choose from archery, tennis, kayaking, parasailing, cycling, a visit to the shell museum or observatory. Free time to spend as you like in Makarska, or choose to add one of the additional activities from the list below. Take a trip to the historic city of Omiš before setting sail up the magnificent Cetina Canyon, on a relaxing tour taking in stunning mountains and landscapes. We can take you on a boat trip to your choice of Hvar town on the island of Hvar, or the town of Bol on the island of Brač. Enjoy a day exploring the Biokovo Nature Park, located in the mountains above Makarska. With stunning views across the Adriatic sea and islands, as well as trails, wildlife and activities. Our driver will transfer you from your hotel in Makarska to Split airport for your onward journey. Why not add on an additional day or two in Split, to explore the historic attractions of this beautiful city? 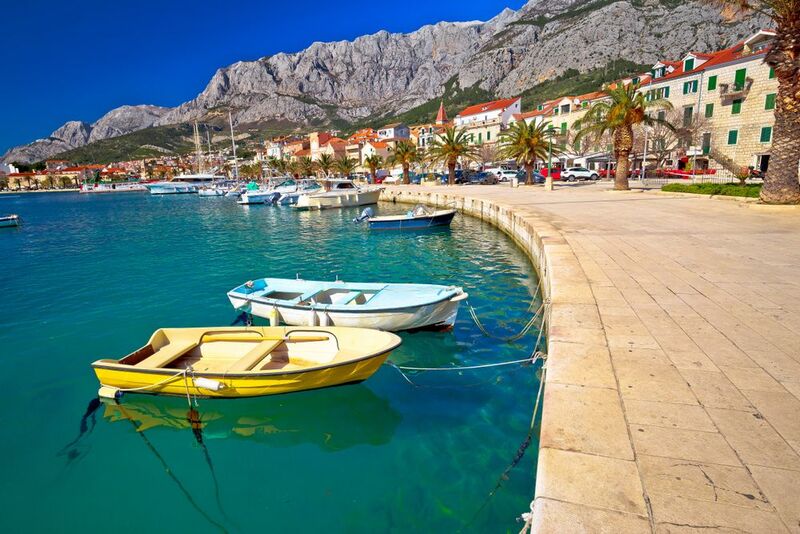 Makarska additional activities, including guided tour and a choice of sports/excursions. Additional night(s) in Split with a guided tour.